This is the second plane from the Russian emergencies ministry with humanitarian cargo for Libyan refugees in Tunisia. 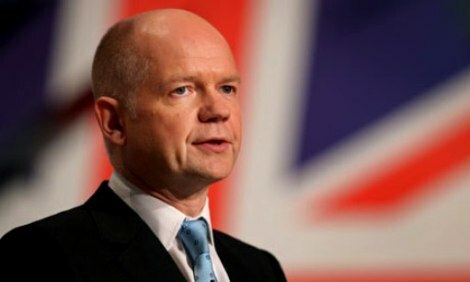 Russia, March 8, 2011 (KATAKAMI.COM / RIA NOVOSTI ) — A Russian emergency situations ministry’s aircraft with humanitarian aid for Libyan refugees landed in Tunisia on early Tuesday, a spokesman for the ministry said, as reported by RIA Novosti on Tuesday. “The Russian emergencies ministry’s plane landed at the Djerba airport at 0:25 Moscow time [21:25 GMT Monday]. The Il-76 aircraft has delivered another batch of humanitarian cargo,” the spokesman said. 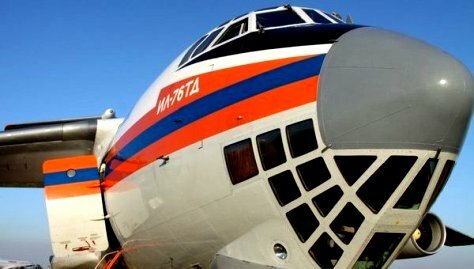 This is the second plane from the Russian emergencies ministry with humanitarian cargo for Libyan refugees in Tunisia. The first plane delivered on Sunday food, nourishment for children and tents. TUNIS, Tunisia, Jan 16 (KATAKAMI.COM / AP) – Tunisian police arrested the head of the presidential guard Sunday and dozens of others suspected in drive-by shootings, trying to restore calm to the North African nation after the historic ouster of its longtime strongman. Police arrested the head of Ben Ali’s presidential guard, Ali Seriati, and several colleagues over accusations they had plotted against state security, the state news agency TAP reported Sunday. Other details were not immediately available, but security agents had often fired on unarmed protesters in the last month. “Criminals are using ambulances to fire on people,” a police official in charge of security told the AP, showing his badge but declining to give his name. Dozens of people have died in a month of clashes between police and protesters angry about the repression and corruption during Ben Ali’s rule — unrest that ultimately marked the end of his 23-year regime. A soldier fired shots in the air Sunday near Tunis’ main train station — which had been turned into a blackened carcass — to warn that a gathering of more than three people is banned under the state of emergency law. A well-known human rights advocate returned home to the embattled — but in many ways, hopeful — country in the midst of an unprecendented power shift for the Arab world. Souhayr Belhassen, president of the International Federation of Human Rights, arrived at Tunis’ airport and said her long-repressed countrymen appear poised for unprecedented freedoms. Businesses owned by Ben Ali’s family were major targets of looters. The family of the ex-president’s wife, Leila Trabelsi, has financial interests in wide-ranging sectors from banking to car dealerships. A branch of the Zeitouna bank in Tunis founded by Ben Ali’s son-in-law was torched, as were vehicles made by Kia, Fiat and Porsche — brands distributed in Tunisia by members of the ruling family. Tunisians are especially overjoyed at the prospect of life without Ben Ali’s wife and her family. U.S. diplomatic cables released by WikiLeaks discussed the high levels of nepotism and corruption displayed by her clan. Fouad Mebazaa, the former head of parliament’s lower house, was named interim president on Saturday and quickly ordered the creation of a national unity government that would include longtime opponents of Ben Ali. Elections must be held in 60 days. Tunis’ airport reopened Saturday but a state of emergency continued. Thousands of tourists were being evacuated Sunday from the Mediterranean nation, whose wide beaches, deserts and ancient ruins are a strong draw for Europeans seeking relief from winter. “This all happened in three days. Maybe tomorrow we can’t eat,” said Mohsen Yacoubi. Jerusalem, Jan 16 (KATAKAMI / Vosizneias.COM) – Israel’s Prime Minister says the unrest in Tunisia over the weekend shows why Israel must be cautious as it pursues peace with the Palestinians. Benjamin Netanyahu told his Cabinet on Sunday that the violence that followed the ouster of Tunisia’s longtime president illustrated the widespread instability plaguing the region. 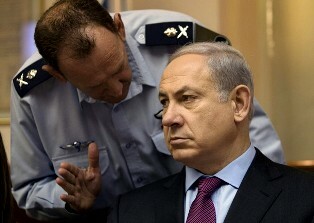 He also says it underscores the need for strong security arrangements in any future peace deal with the Palestinians. Jan 16 (KATAKAMI.COM /VOA) — Tunisia’s acting leadership moved Sunday to form a coalition government, after the ouster last week of former strongman Zine El Abidine Ben Ali, who ruled for 23-years. Parliamentary Speaker Fouad Mebazza was sworn in as interim president Saturday, a day after President Ben Ali fled to Saudi Arabia. Mr. Mebazza said he had asked the country’s prime minister to form a unity government. The country’s constitutional council said new presidential elections should be held within 60 days. 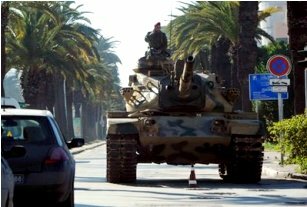 There were reports of gunfire in Tunis Saturday, as police and army tanks patrolled city streets still littered with debris from overnight riots and looting. But there was no sign of new violence Sunday. Mr. Ben Ali fled the country following weeks of street demonstrations and rioting fueled by anger over a lack of jobs and official corruption. 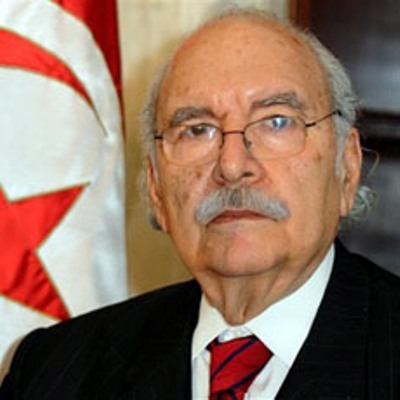 He had served as Tunisia’s president for the past 23 years. Activists in Egypt cheered Mr. Ben Ali’s ouster and said they hope the rebellion will inspire a similar movement challenging Egypt’s long-serving president, Hosni Mubarak. The Egyptian government Saturday affirmed Egypt’s support for “the choices of the Tunisian people.” The foreign ministry issued a statement saying Egypt is confident Tunisians will not allow the country to descend into chaos. The Cairo-based Arab League issued its own a statement urging Tunisia’s political forces to show unity in order to keep the peace. The African Union Peace and Security Council says it recognizes Parliamentary Speaker Mebazza as Tunisia’s interim leader.